The last few days have been pretty chilly here in Michigan which means Fall is just around the corner and I can finally start thinking about wearing jeans again (it's been a sundress only kind of summer.) Above are a few of the many items I'm coveting. 1. Polka dot blouse- You can't go wrong with a cute polka dot it's always classy especially when its subtle and not over done. 2. Black blazer- I have about 6-7 black blazers in all different shapes some more masculine while others have a bit more detail such as a small ruffle or ruched sleeves - pairing this with jeans always dresses you up without looking like you are trying too hard. 3. Kate Spade Bangle- I thought this was super cute - sometimes I like to mix up my bangles with something a little fun. 4. Arrow Bangle - I saw a sorority sisters arrow necklace from Stella and Dot a few weeks back and fell in LOVE with the arrow craze - I particularly liked this bangle because it is simple and can be stacked with almost anything. 6. Steve Madden T-Strap - I love having a t-strap heel - you feel so much more secure in these and it spices things up from a normal stiletto. 7. Pop of Color - My fiance's mom is obsessed with lipstick while I'm more of a lip gloss kind of gal (clearly) so I'm trying something a little different with a pop of color. Over this past weekend I purchased a red, a hot pink and a gorgeous coral that I can't wait to wear in Chicago next weekend. My best friend Brittany knows me well - and when it came to getting me a gift for throwing her bridal shower she knew exactly what I needed most. A Cake Pop Maker. I've had it about a month and although I haven't gotten to use it as much as I would like it's pretty sweet. 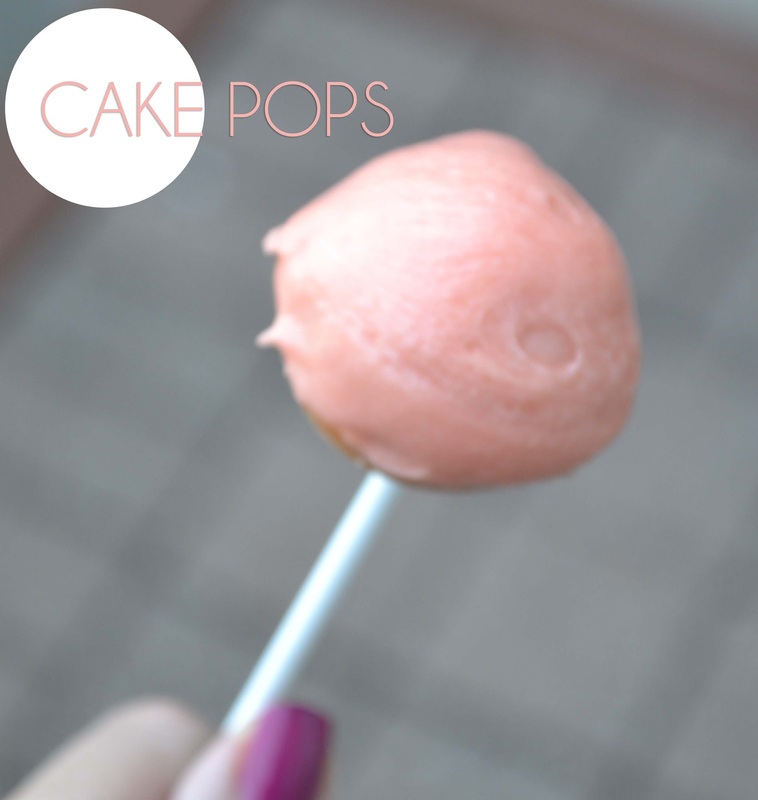 I decided to make some quick Champagne Cake Pops using this recipe today with some pink champagne I had received for Andy and I's engagement. I then also created champagne icing and thickening it with some meringue powder to dip the cooled pops in. The pops turned out pretty well - and were a great after dinner treat. I can't wait to try out some other recipes soon! After Andy proposed I felt like I wanted to wear my engagement ring at every second including when I slept until I found myself waking up in the middle of the night with it off my hand! I would subconsiously take it off but wouldn't' set it on my night stand and would be hopping around my bed like a crazy person at 2am trying to find out where I put it. To ease my stress of hiding my ring on myself I found this gorgeous ring holder on Etsy. I absolutely LOVE this piece, and you can't argue with the price either. The woman who created this makes various types of ring holders, but this was by far my favorite. The last few weeks have been nothing but 80-90+ degrees in the midwest. I'm not complaining but in the dead of the day it is hot - and my pretty curly waved hair in the morning goes flat. 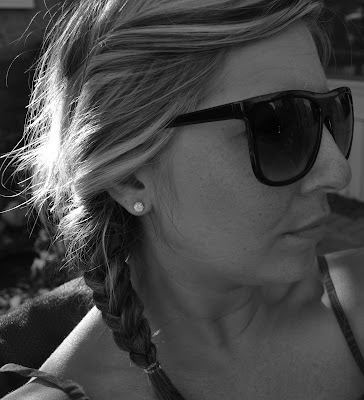 I've always admired the fish tail braid, but I've never had my hair long enough to execute it properly. So finally with the help of a few bobby pins I'm able to have a smaller fish tail braid. It's cute and it definitely helps when my hair goes flat and no amount of hair spray will help. To learn how to do the fish tail if you don't already know check out this video by Lauren Conrad. It wasn't the easiest one for me to learn with. What is your go to hair style when your hair doesn't want to cooperate in the middle of a heat wave?